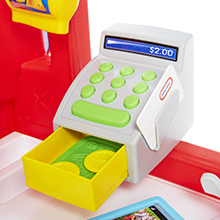 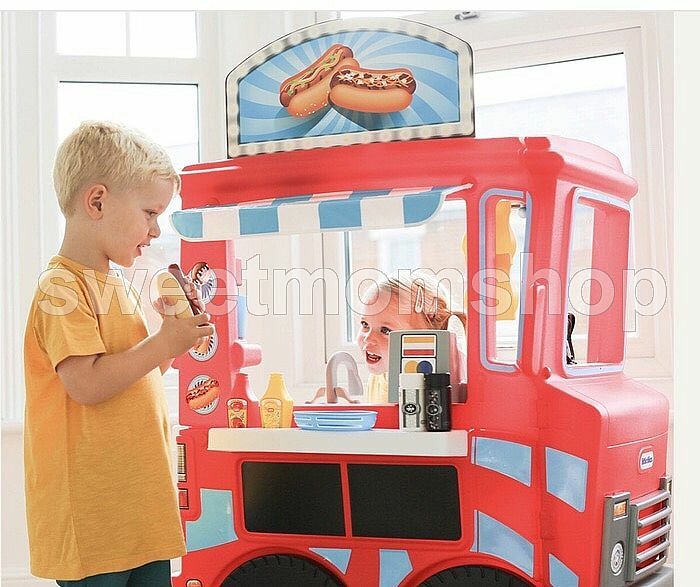 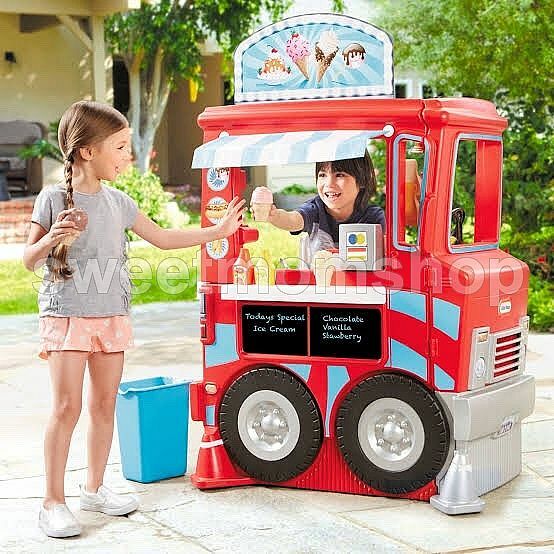 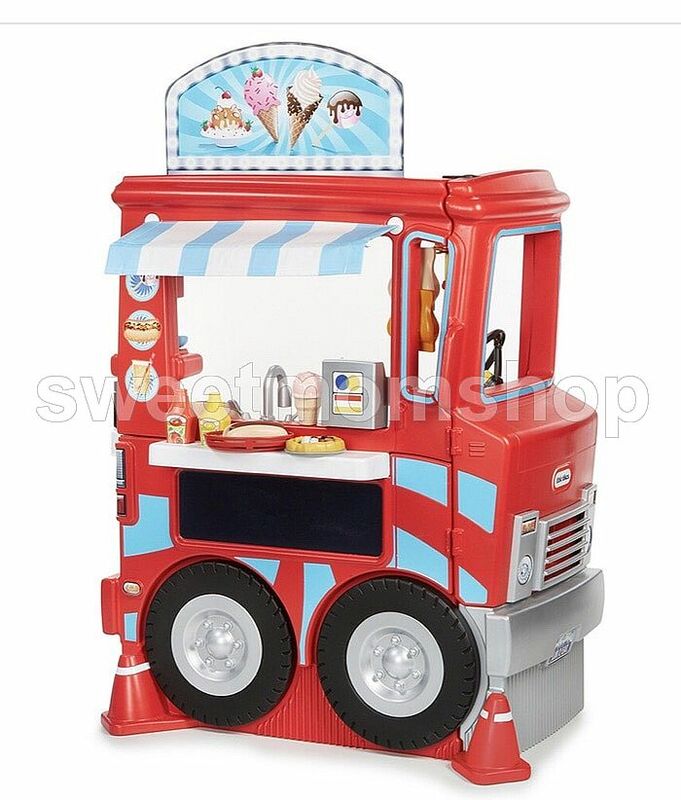 Complete with reversible signage to turn your 2-in1 Food Truck from a hot dog stand into and ice cream stall, this toys has it all - cash register, notepad, order up bell and more! 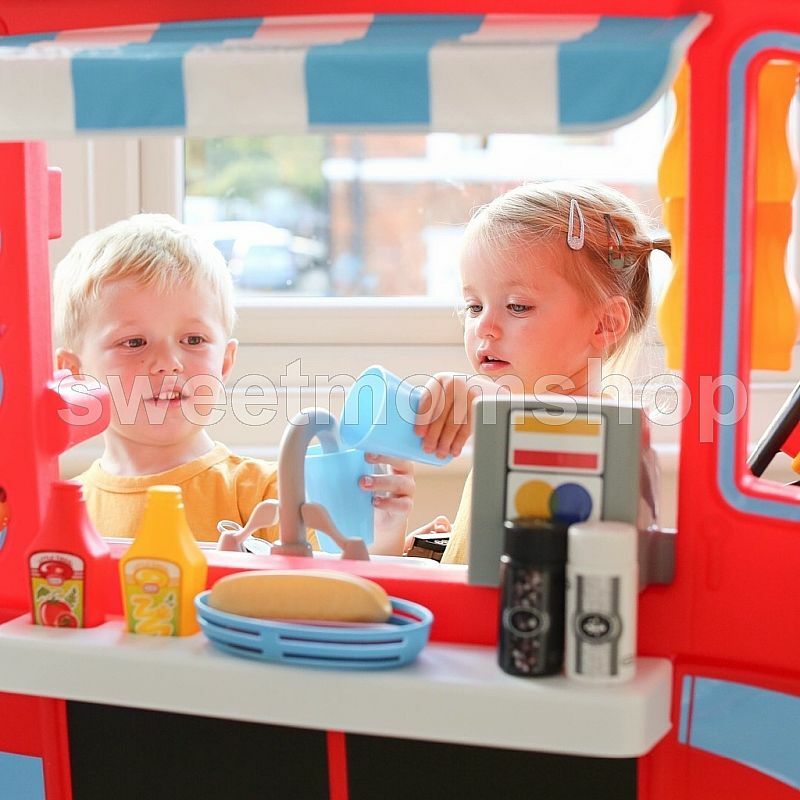 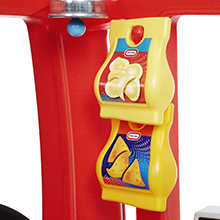 The Little Tikes 2 'n 1 Food Truck comes with all the needed accessories to get your little entrepreneur started with their very own food truck business. 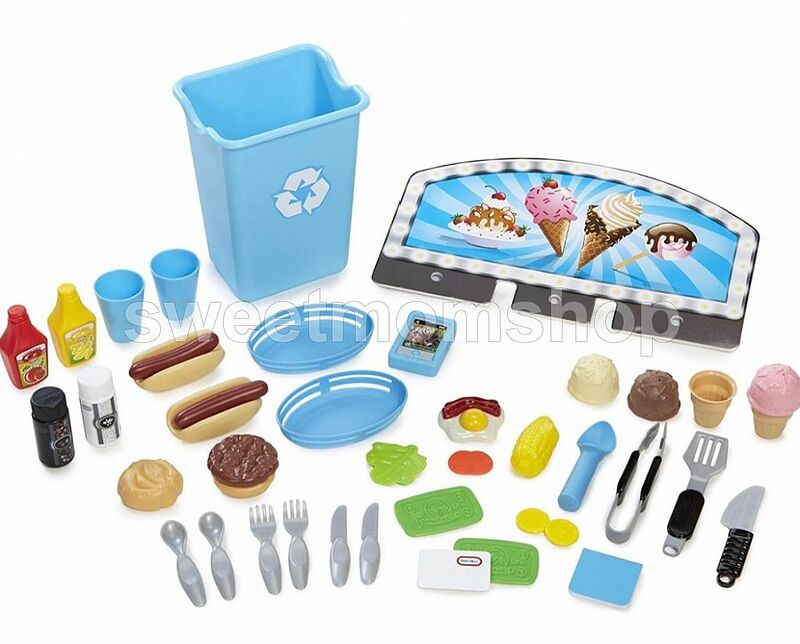 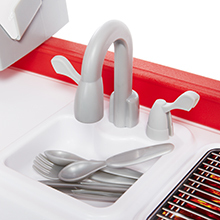 Includes 40 food and utensil accessory pieces, hot dogs, burgers, a choice of vanilla or chocolate ice cream cones. 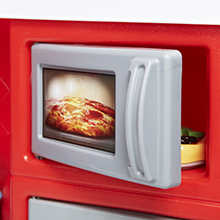 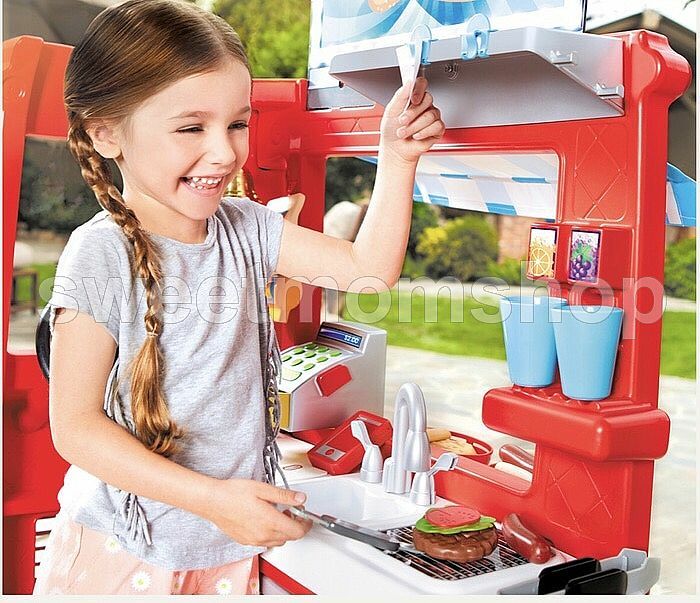 It's the complete set for all your little budding chefs! 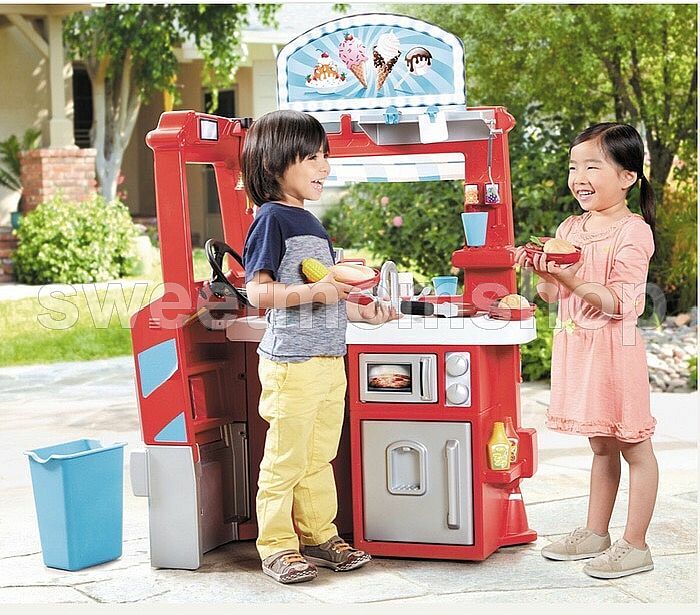 A steering wheel with a working horn, a bin that doubles up as a seat and storage, pull out serving counter, play soda fountain, oven, microwave and fridge - this toy has it all!